i Click 'view all' to instantly compare this fantastic deal with offers on other top portable projectors. 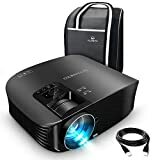 BenQ HT2050A 1080P DLP Home Theater Projector 2200 Lumens is currently selling at $635.00, approximately $40.65 lower than average, giving a potential saving of $58.00 right now. With a lowest price of $635.00 and an average of $675.65 it is selling on the low end of its usual range. Price volatility is 2.23% (meaning it does not change often), so the price should stay low for a while. Right now this product is a recommended 'fantastic deal'. The current deal is also the best price on this item over the last month. 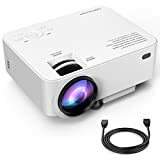 Compare the current price, savings (in dollars & percent) and Buy Ratings for the top Portable Projectors that are closely related to BenQ HT2050A 1080P DLP Home Theater Projector 2200 Lumens. Here is how BenQ HT2050A 1080P DLP Home Theater Projector 2200 Lumens compares with other leading Portable Projectors. 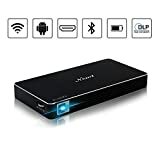 DisplayProjection System: DLPNative Resolution: 1080p (1920 x 1080)?Resolution Support: VGA(640 x 480) to WUXGA_RB(1920 x 1200) *RB=Reduced Blanking?Brightness (ANSI lumens): 2200 ANSI Lumens?Contrast Ratio (FOFO): 15000:1 ?Display Color: 1.07 Billion Colors?Native Aspect Ratio: 16:9Light Source: LampLight Source Wattage: 240W?Light Source Life: Normal 3500 hoursEconomic 5000 hoursSmartEco 7000 hours? OpticalThrow Ratio: 1.15 - 1.5 (100" @ 8.2ft)?Zoom Ratio: 1.3xLens: F/# = 2.59 - 2.87, f = 16.88 - 21.88 mmLens Shift: Vertical : +10%?Keystone Adjustment: 2D, Vertical & Horizontal +/- 30 degrees?Projection Offset: 105%±2.5%Clear Image Size (Diagonal): 60"~180" Image Size: 30''~300''Horizontal Frequency: 15 - 102KHz?Vertical Scan Rate: 23 - 120Hz? CompatibilityHDTV Compatibility: 480i, 480p, 576i, 567p, 720p, 1080i, 1080p?Video Compatibility: NTSC, PAL, SECAM, SDTV?3D Compatibility? : Frame Sequential: Up to 720p Frame Packing: Up to1080p Side by Side: Up to 1080i/p Top Bottom: Up to 1080p? EnvironmentPower Supply: AC100 to 240V, 50 to 60 Hz?Typical Power Consumption: 353W/110V Standby Power Consumption: < 0.5W?Acoustic Noise (Typ./Eco. ): 29 / 27 dB ?Operating Temperature: 0~40?